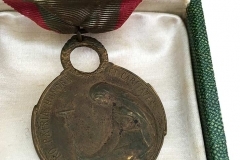 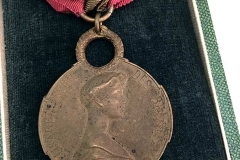 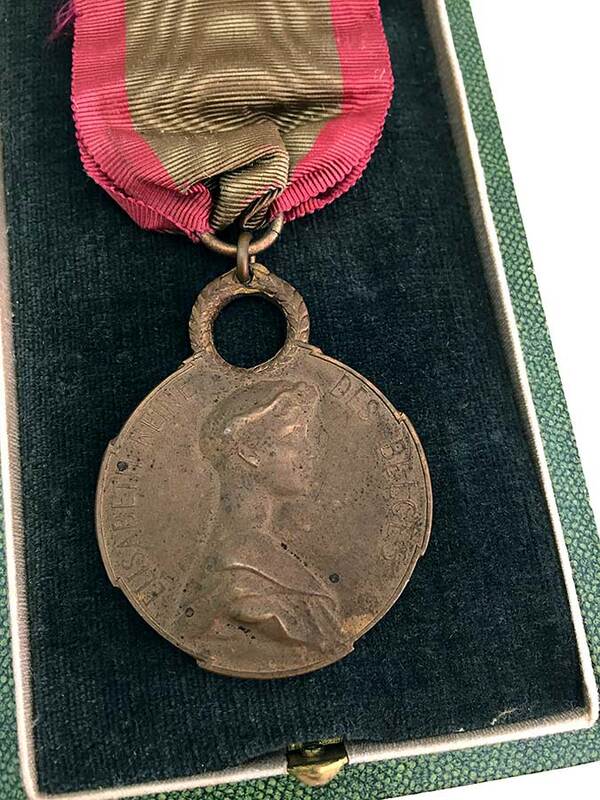 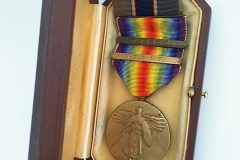 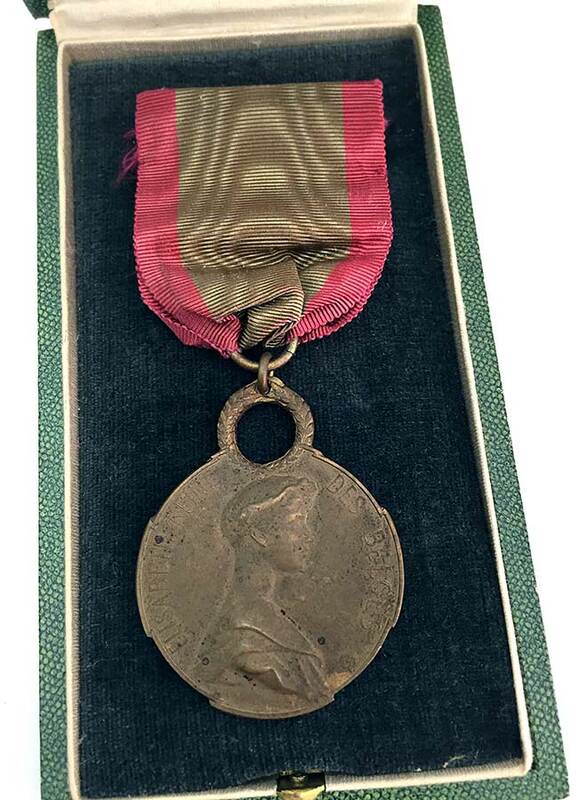 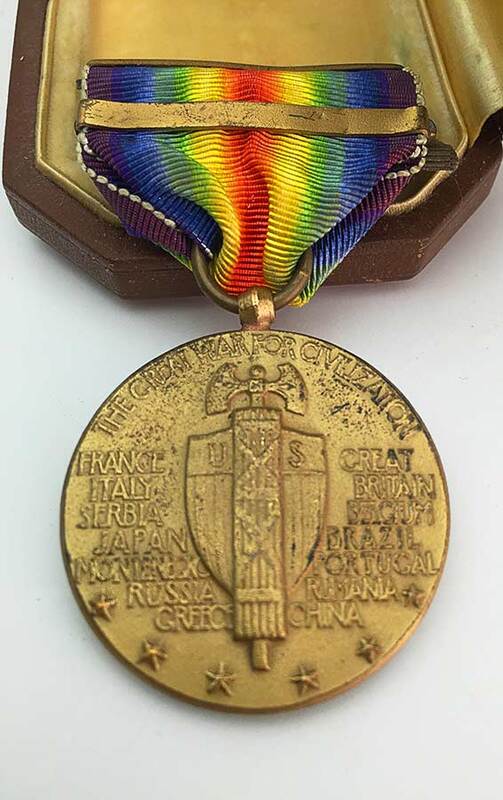 The medal was given to Céline Baekeland in recognition of her exceptional services to Belgium in the relief of the suffering of its citizens during the First World War. 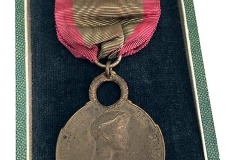 The front shows Queen Elizabeth of Belgium with inscription: “Elizabeth Reine Des Belges” (“Elizabeth Queen of the Belgians”). 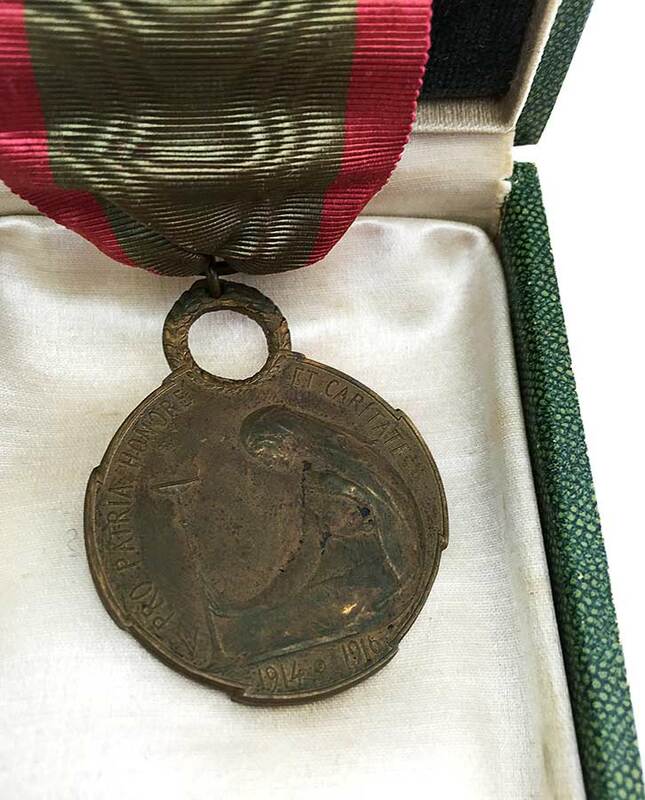 The reverse shows an image of a nurse sitting holding an oil lamp with the inscription: “Pro Patria Honore et Caritate” (“For the Country Honor and Charity”) 1914 – 1916. 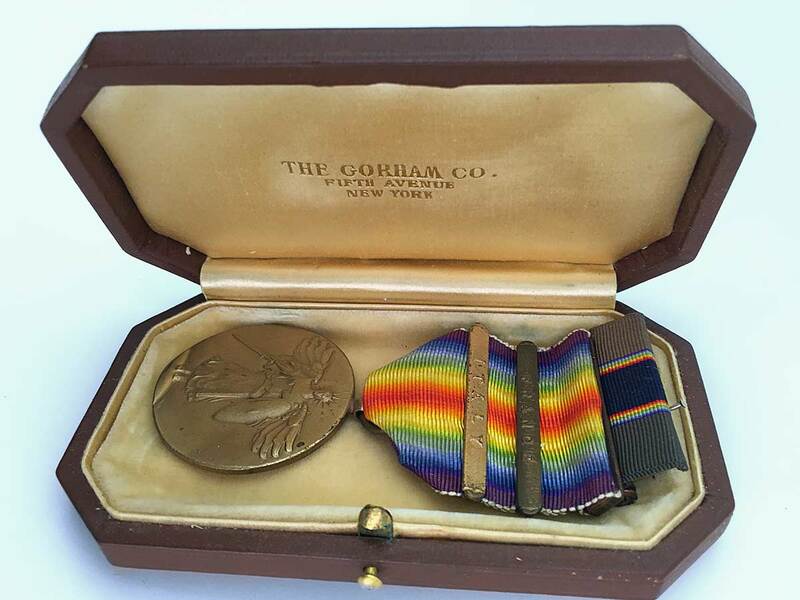 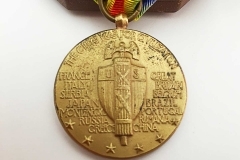 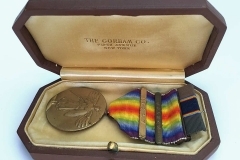 The medal was given to Leo Baekeland for his contribution to the war effort. 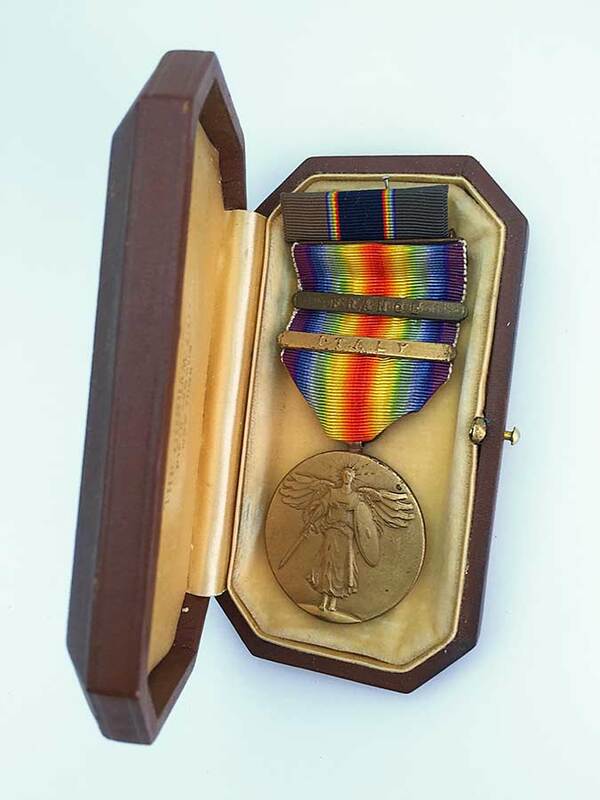 The front shows winged Victory holding a shield and sword. 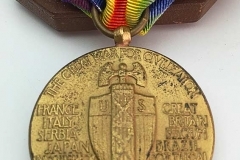 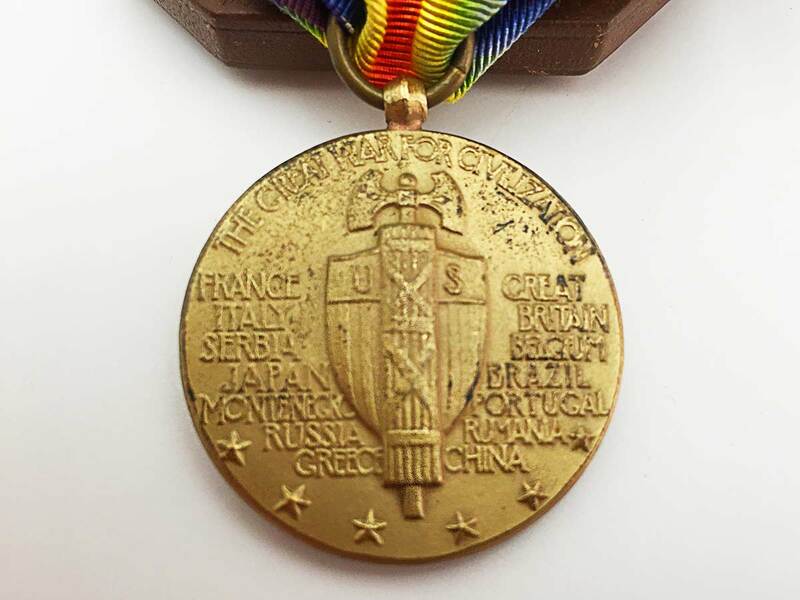 The reverse shows “The Great War For Civilization”, with 6 stars, the letters US and lists the WW I Allied countries: France, Italy, Serbia, Japan, Montenegro, Russia, Greece, Great Britain, Belgium, Brazil, Portugal, Rumania and China.